Structuralism is regarded as the earliest school of thought in psychology. While structuralism is usually associated with Wilhelm Wundt, it was actually his student, Edward Bradley Titchener, Who was largely responsible for presenting structuralism as history remembers it. Let’s take a closer look at structuralism, how it formed, and influence it had on psychology. Psychology itself did not emerge as as a discipline separate from biology and philosophy until the late 1800s. 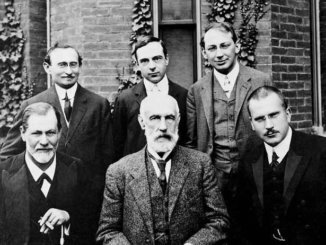 It was the founding of the very first experimental psychology laboratory in Leipzig, Germany that formally established psychology as a separate science. 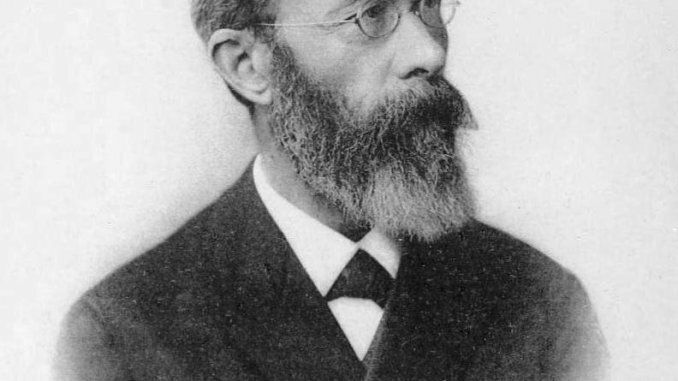 It was the scientist or Wilhelm Wundt who was responsible for establishing the lab, which is why he is widely regarded as the father of psychology. Wundt was interested in studying the inner workings of the mind in an objective and scientific manner. He utilized a method known as introspection which involves training observers to carefully analyze the contents of their thoughts. While his methods don’t stand up to the rigor of today scientific methods, they did help make psychology a more scientific discipline. Wundt’s background was in physiology, which is why many of his experiments involved things such as looking at reaction times and sensory processes. Wundt Believe that he could carefully analyze each element of the mind, breaking things down into smaller parts, in order to understand how the mind works. In much the same way as a physiologist might look at different parts of the body in order to understand how these parts function together. During this period of history, many areas of science were focused on what is known as elementalism, or breaking things down to their smallest possible parts. This approach had led to a number of important discoveries (consider our understanding of things such as cells, molecules, atoms, and DNA), so it is not surprising that this same approach entered the emerging field of psychology as well. How can structuralism be defined? Structuralism was, essentially, the study of all of the many elements of human consciousness. Much like we might break down all of the parts of a substance into its many different chemical components, Wundt believed that consciousness was also made up of numerous parts. Through his process of introspection, he believed that he could scientifically analyze and identify the various elements of the human mind. The introspection process involved presenting some type of stimulus to a highly trained observer. The observer would then report on their experience, including thoughts, feelings, sensations, and perceptions. While Wundt is credited as the founder of structuralism, he didn’t not use the term to refer to his approach. Instead, he called his to his approach to psychology as volunteerism. It was actually his student, Edward B. Titchener, who coined the term structuralism. Titchener is credited with introducing Wundt’s work in America, yet critics note that he largely misrepresented much of his mentors work. Despite this, Titchener became a strong force in early psychology and is responsible for establishing the very first school of thought in psychology. What Impact Did Structuralism Have on Psychology? Thanks to Titchener’s influence, structuralism became and important force during the early years of psychology. But it was not without its critics. The school of thought known as functionalism soon emerged, partially in response to structuralism. Rather than simply looking at the parts of consciousness, functionalism stressed looking at the purpose and function of human thought and behavior. While many schools of thought continue to have an influence today, structuralism essentially disappeared when Titchener died. While structuralism was relatively short-lived, it played an important role in the development of early psychology and had an influence on the emergence of experimental psychology. So why study structuralism if it has been largely replaced by other schools of thought such as psychoanalysis, behaviorism, and cognitive psychology? Structuralism still has an important role to play during the beginnings of psychology, and understanding how it emerged can give students a greater appreciation of how psychology developed into what it is today. Learn more about psychology history by exploring these important moments in the history of psychology. Schultz, DP & Schultz, SE. A History of Modern Psychology. Boston, MA: Cengage Learning; 2016. What Is Accommodation In Psychology?